Martial arts movie genre rises from the ashes and more and more talented persons try to do something different and raise the bar. Tony Jaa amazed the world with his jaw-dropping Muay Thai tricks in the Ong Bak movie, Donnie Yen played a famous Wing Chun master Ip Man which became a wonderful example of modern Asian action cinema, Kevin Tancharoen re-launch Mortal Kombat franchise in absolutely new dark vision and got millions of views on YouTube, Isaac Florentine filmed Undisputed 2 and 3 and with a help of talented Scott Adkins created a Boyka phenomenon, director Gareth Evans released brutal The Raid movie with outstanding action sequences. 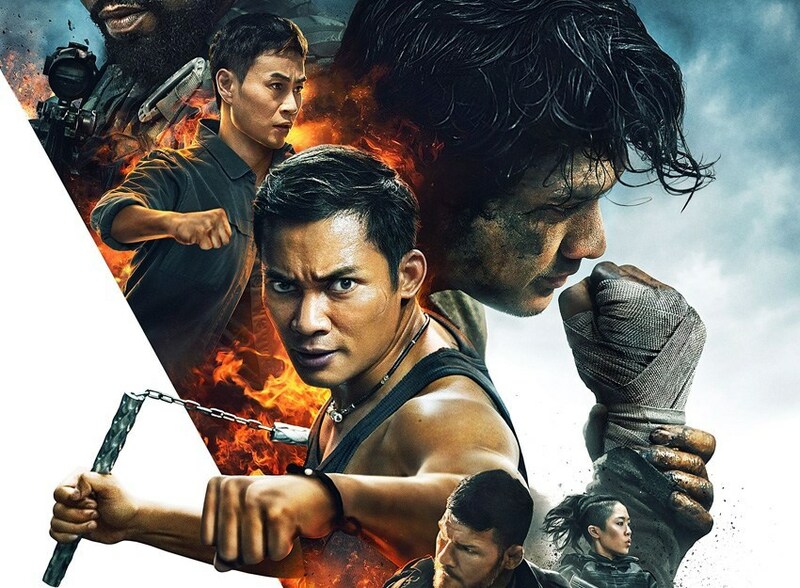 The gold Olympic medalist in Taekwondo Eric St. John is from the same breed and wants to surprise the audience by combining top notch acting performances with high energy, hard hitting, realistic martial arts action. And you will understand what I’m talking about if at first have a look at the trailer above and read my interview with him below. Budomate: When are you going to release this movie? VOD only or limited theatres release too? Eric St. John: The release date will depend on a number of factors including our distributor’s strategy. Ideally it will be released next year in 2013. Most likely we’ll have a festival tour to gain some exposure and some limited theatrical releases. Depending on the audience’s reaction and support we may go nationwide and international. VOD is our last resource. Budomate: You are a gold medalist in Taekwondo, please tell about your martial arts experience? Eric St. John: I started training in Taekwondo when I was seven years old. I always knew I wanted to be a martial artist. We had a family friend who was a Marine and Vietnam Vet. He had trained in many forms of martial arts throughout Asia and he was absolutely the real deal. My folks went to him and asked him what he thought of a 7 year old beginning training in the martial arts and he said: “Absolutely go ahead and let the kid do it, if the desire is there, then by all means no age is too young”…And so I began. I studied with different instructors and worked my way up through the ranking system. I reached a point where I went to my folks one day and said “Mom and Dad, this is a Korean martial art that I am studying, I would prefer to train with a Korean instructor, trained in Korea and who has brought their knowledge and training style from that country. My folks took me to several new schools and I found exactly what I was looking for in Master TK Lee. I owe much of my overall development and shaping as a martial artist to this man. He incorporated many elements into his training. Some were quite unusual. He was very big into strengthening the mind. Meditation was required and was built into our training. He would take the team into the mountains and we would have to run in the snow in our gi’s, through freezing cold water etc. The slapping of the belt against your thighs would sting like crazy because it was just so cold. He would have us visualize our opponent and counter their attacks as a sort of visualization exercise as opposed to simply “shadow boxing”. Everything was geared to fighting to win. He taught us to look at a fight as simply a puzzle. Every opponent can be figured out and there is always a move that you can counter with no matter what the opponent does. During the fight you must “figure the opponent out” by testing, feigning, and many times throwing something not with the intent to cause damage, but to see how the opponent reacts, to find their weakness, and then you can go in for the kill. He also encouraged giving something of use to others. I was just a kid, but he would explain it to me this way in his best English (which was very hard to understand at times) “Animals leave their hide or fur to keep us warm, their bones to be made into tools and their meat to provide us nourishment, their contribution to us lasts once they are gone. What are you going to provide people that is of use to them, that enhances their lives and makes their life better? What are you going to leave behind? You must leave something behind. It was under Master Lee’s guidance that I became very serious about competing. We trained every day of the week and then on Saturday, the entire day was dedicated to sparring and strategy and studying with the specific goal of Olympic style training. I began traveling the country competing. Fighting all kinds of competitors from all over. This eventually led me to the Jr. Olympics in which I won the Gold Medal in the Black Belt Division. One of the most important things he instilled in me was that the trophy, award, belt or medal really makes no difference at all, and was not to be focused on or concerned about one bit…But instead he insisted that the “experience” was worth far more in terms of value and something to gain. The experience was everything. That is what you are after, to “experience fully”. So to this day I don’t have any of my Gold medals and trophies. I’m sure my folks have them somewhere. But I do have the feel of the floor under my bare feet, the tightness of the sports tape wrapped around my ankles, the smell of the muscle ointment I wore due to all the heavy training leading up to the fight, the sound of the crowd roaring, hearing my trainers sharp hi-pitched voice scream out from my corner. I can still feel the moment when the nerves and butterflies fall away and a sense of calm washes over me just before the fight starts and everything in the background fades out and all my senses become heightened and everything becomes very still and clear. I can recall all of it as if it were happening just yesterday. That is the experience that master Lee was describing and I greatly value it as it has become a part of who I am as a human being. Something worth mentioning…The team is an important element to a fighters training. Even though you fight as an individual, the team is crucial to the development of the fighter. You learn from each other. When you spar with your teammate, there is an ease and comfort to try things you may not yet be comfortable doing during an actual fight. And also, you learn from your teammate striking you with techniques you may not be familiar with. You have a chance to fight guys with different rhythm, distance, timing, and it is the best way to learn…by doing. Then you can take that confidence and experience into the fight when it counts. There is also a strength that comes from that camaraderie. It is called the “US Olympic Taekwondo Team” for a reason. Every great fighter has a team. This is something people sometimes forget. I had entertained the idea of trying out for the Olympic Team as it was only a spectator sport while I was competing, but I was aware that in four years it would be inducted as an official Olympic sport and that is what I had my sights on. Shortly thereafter my family moved to Arizona and things changed. Around this time, I began hearing about “Open Tournaments” which meant that all styles of martial arts were welcome to fight in the tournament, while all following the same rules and regulations. Up until that point, there were only tournaments being held for specific styles, you had Karate matches, and Kenpo matches, Taekwondo tournaments, Kung Fu tournaments. But then something happened and somebody decided to just open it up and have a tournament where all styles are welcome. This was way before the UFC was invented, but was a similar concept. I will never forget the first open tournament my father took me to see. It was fascinating; you had two fighters with completely different styles of fighting paired off against one another. And it was a real eye opener into the art of combat. It was a “tournament” style competition where each winning fighter that won, would move to the next round and fight another winning fighter and so on until you had the two best fighters paired up against one another. One fighter in particular stood out to me. He had a very calm and relaxed approach, but when he struck, it was with great power, force and speed and none of the other fighters could seem to do anything against him. I particularly recall a fight were the opponent got dropped and could not get up off the floor, but not from a right hook or even a round house kick to the head…He was rendered useless by a low kick to the legs and this is how I was introduced to this style of fighting known as Muay Thai. It was clear that the Muay Thai fighter had a unique way of fighting that nobody else could touch, and nobody could beat him as hard as they might try. Yet when you watched the Muay Thai fighter from Thailand, he didn’t seem to be doing anything particularly difficult or out of the ordinary or flashy. He seemed to just sort of remain relaxed and cover while he was being attacked and would then deliver these crushing kicks and would “clinch” and deliver knees to the body that would just literally leave the opponent in a useless heap on the mat. My eyes were opened that day and so the quest for more knowledge and a greater, broader, and deeper skill set began. I could not find a Muay Thai camp anywhere as the fighter flew over from Thailand and Muay Thai was not as popular as it is today. So my search began to learn and train in new styles. I found an amazing instructor who I instantly had an admiration for in a man named Mike Pick and his style was Kenpo. He too, like my childhood family friend was a Vietnam Vet and has stated that the Kenpo he learned from his instructor, Ed Parker, literally saved his life while he was fighting in Vietnam. Continuing my training upon moving to California I found a great Muay Thai coach named Kru Rex. He is a former Muay Thai world champion fighter from Thailand and he keeps his training in the traditional style of his Muay Thai camp in Thailand. So this type of training is invaluable to a fighter. I have been training Muay Thai for over 10 years now. Most recently, within the last five years I have discovered a new teacher (new to me, but certainly not new to the rest of the world) He is Dan Inosanto. He was Bruce Lee’s close personal friend, training partner and was with Bruce during the development of Bruce’s Jeet Kune Do. In fact Dan Inosanto is one of three people allowed by Bruce Lee to teach his Martial Arts system (Taky Kimura and James Yimm Lee being the other two), and the only one to be given Instructorship in Bruce Lee’s Jeet Kune Do of the third level. Another great instructor that I have trained with is Yori Nakamura. So I have been training in Jeet Kune Do for a while now from truly one of the greatest teachers in the world, and truly a great man. Jeet Kune Do is a very practical and economical fighting system. I have also studied SIlat, Kali and the Filipino Martial Arts, Brazilian Jiu Jitsu, Shooto or Shoot Wrestling. Budomate: You started acting career in 1996, what is the best project you worked on? Eric St. John: Well the most exciting by far is the current film I am working on “Out For Blood”. But other than that, my favorite projects have been “The Boarder” and “Being American”. “The Boarder” because of the subject matter and “Being American” because of the character I play in the movie. I owe a big thank you to Jane Ryan for hiring me to play Officer Sullivan in the Boarder, which is such a deeply important and personal film for her, and I am honored that I was able to be a part of that. I also got to work with my ‘better Half” as I like to say Carmen Cabana who is a truly great DP and it is always such a pleasure when we get to work together. For Being American, my good friend Robert Leroy suggested me for the part which I greatly appreciate. In Being American I play a marine. The military has always been close to me. My father, my grandfather, my uncle, many of the men in my family have served our country. While I never went into the service, it resonates with me and I have a great affection for war movies. As an actor I’m very interested in the concept of war and the effects it has on the individual. My Grandfather was in WWII and was awarded three purple hearts and his stories have always fascinated me since I was a kid. Being American is not necessarily a war movie, but my scenes in the movie were, and had a lot of combat etc. It was very rewarding to get into that mental space as an actor. While working on the film I met two great guys that are brothers Ron and Jon Althof, both ex military. Jon was very helpful in advising me on the military aspects of being a marine, as he himself was a marine. Jon’s brother Ron, who was a producer on the film and was also the stunt coordinator was great to work with and he is also a highly skilled martial artist as well as a top Hollywood stuntman. I mentioned to him that I was a martial artist and would be able to pick up any fight choreography if he wanted to give me something to enhance the fight. He did and he came up with a very cool fight sequence on the spot that was an absolute blast to shoot. Budomate: Why you decided to become a film director? Eric St. John: Actually I have only directed a couple of times on short experimental films. I do not consider myself a director per se. I am an actor first and foremost. The directing came out of a desire to try some different things that I was not necessarily being cast for at the time. So, I had never been cast to execute “Martial Arts” fight choreography as a part of the dramatic action in television or movies. Sure, I have done some fighting on screen both in television and in film, but the fighting was not “martial arts”. I wanted to execute my own version and style of the way I envision a martial arts fight based on my own individual talents and abilities and in such a way that excites and entertains the audience. As an actor you are employed to “deliver”. Your job is to “act” or to “do”. But specifically in regards to Martial Arts in movies, I had never been cast to do this type of acting. I am a professional actor, a classically trained graduate of The American Academy of Dramatic Arts New York. So my aim is to use my talents and skills both as an actor and martial artist for the purposes of entertaining, moving, and at the very best, inspiring the audience through film. Budomate: In 2010 you filmed short For Hire, story about a modern day action hero. Please tell about idea, production and actors? 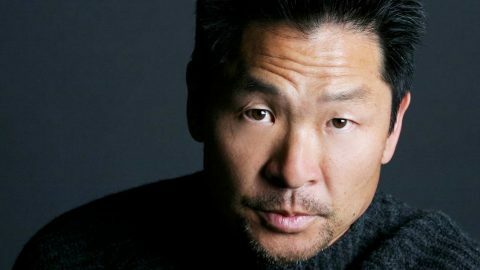 Eric St. John: “For Hire” is based on an idea for a feature about a man trying to infiltrate a ruthless and powerful family by passing as the bodyguard of one of the daughters, played by actress Annie Lee (who starred in the feature film “Close Call” and others). We shot the piece in one full day and had a few rehearsals with a group of stunt men prior to filming. Budomate: Talking about Out For Blood film, how did you come up with idea and how are you going to surprise martial arts fans? 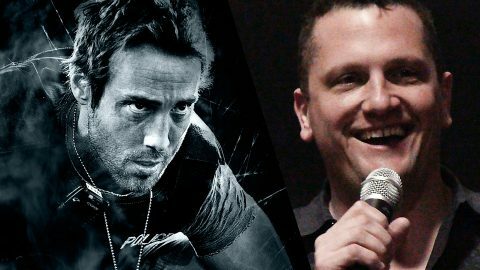 Eric St. John: The idea for Out For Blood started nearly two years ago with myself, my “better half” and brilliant cinematographer Carmen Cabana, and my close friend and producer Tom Sweeney. We wanted to make a character driven feature film, with lots of martial arts action. We set out to make a good dramatic movie that also happens to have some great martial arts for the fight sequences. We collaborated and came up with a unique story that we all liked and then we brought on writer Ryan Leeder to write it. Ryan is a talented up and coming writer, who recently wrote “The Boiling Point”, optioned by Mass Hysteria Entertainment to be produced by Grindstone Entertainment. We wanted to go back to the earlier style of shooting action and agreed we would not rely on wire work and SFX and would make the hand to hand combat scenes as real as we could, but at the same time add a theatrical dynamic and showcase the fights using speed ramps and playing with various frame rates. I wanted to show a variety of styles in the choreography, including all the types of martial arts that I have trained in and studied up to this point in my life. 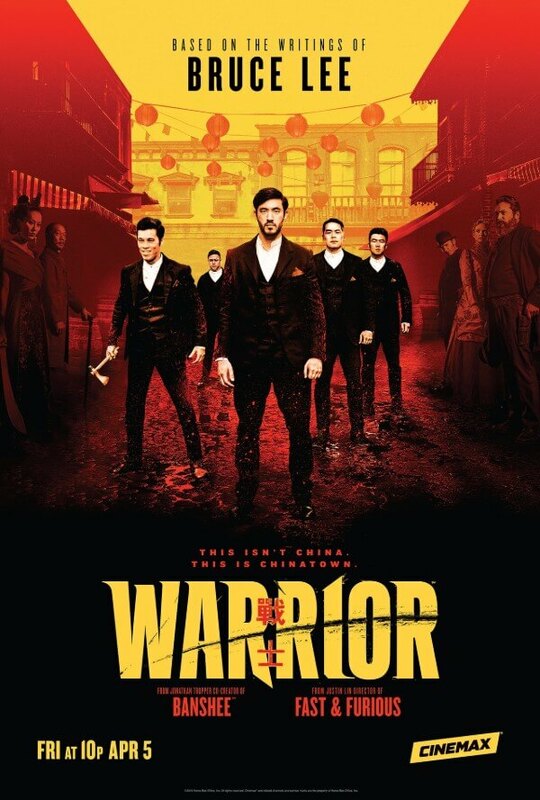 I think we will surprise the audience by combining top notch acting performances with high energy, hard hitting, realistic martial arts action. So that the choreography is not always clean…It is a little looser and organic and sometimes a bit dirty…I believe it is the way that we do this that will set us apart from many other martial arts movies. All the fighters wear chest protectors and pads under their clothing so we can actually make medium and sometimes-hard contact without injuring anyone. It lends to the realistic look and feel of the fight when actual contact is being made. As an actor, one note I would like to mention is that of physical conditioning. To me, it is crucial that the actor and martial artist in any film be in absolutely top physical condition going into the production. Film being a visual medium, I think it is important to be in top physical condition for two reasons. Having a strong muscular physique resonates psychologically with the audience and conveys power and durability as that character. In essence it helps the actor “sell” that character they are playing. Bruce Lee kept himself in top shape. Actors like Hugh Jackman will engage in a serious weight training, diet and cardio routine to prepare for a role like Wolverine. Sylvester Stallone knows this. Many others too. Arnold made an entire career out of his physique. My training regiment leading up to filming Out For Blood was similar to a pro UFC fighter training for an up coming fight. Training around 4-6 hours per day on average. The physique helps sell the character but there is also a very practical reason for high intensity training in preparation for an action film: When filming a movie every minute and take counts. When we shot Out For Blood, on day one, I shot for 12 hours straight in one day. I was fighting in every scene, in a hot, sweaty warehouse with no air conditioning and no ventilation. So you figure a 12 round boxing match lasts 48 minutes, with the rounds taking 3 minutes and one minute breaks in between. Now imagine fighting 12 boxing matches in a row, one after the other. You can imagine how tired you would be. It is absolutely exhausting to keep up that level of intense physical activity for so many hours. So you had better be in absolute top physical condition to be able to keep up and deliver. Budomate: Please tell about your crew, because for fans it’s always interesting to know who is behind the scenes, how it’s happening, any injuries etc? Eric St. John: The three main people responsible for Out For Blood are myself, Carmen Cabana and Tom Sweeney. My good friend Andrew Pearson also greatly helped produce and we couldn’t have done it without him. Thank you Andrew! Regarding the injuries we pushed harder than usual, so yes, there actually were a few “close calls”. For starters we found this great, very acrobatic martial artist, and I mean this guy could do things that most people can only do with a wire. He was just amazing and we had this beautiful sequence worked out and two days before we were going to shoot, he broke his ankle while he was away training in his gym. So he was out. A week before that, another fighter Leepiei Green sprained his ankle, also off training at his gym, and he called me and said he had some bad news; he sprained his ankle and couldn’t walk. I asked him if he would like me to replace him, and he said no, I’ll still show up for rehearsals and just watch, and hopefully by the time we shoot I will be healed enough to shoot…And he was thankfully. He did a great job. We had a lot of talented actors that helped in the making of the Out For Blood teaser including actor Thai Edwards. He is a total pro and is really going to go places as an actor. It was important to me that we rehearse the entire fight sequence straight through from beginning to end, even though we would not be shooting it that way. I think it is helpful doing it this way because you experience a sense of urgency and it kind of simulates the feel and energy of an actual fight. So my theory is that if you rehearse this way, doing the entire fight full speed all the way through, then that same energy and intensity will carry over into the shooting of the fights in the film. 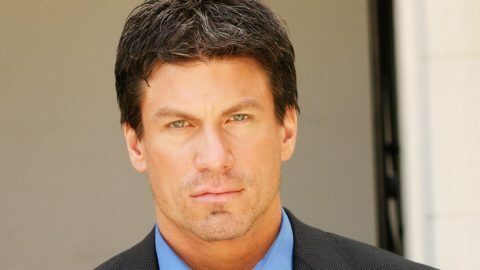 One of our guys, who is my good friend Michael Cannon, had never done any type of stunts or much acting before, but he was such an asset because of his willingness to do what ever it took to get the shots, plus he is 6’5 265lbs so his size works well for playing a formidable opponent. It turns out he is a very good stunt man and actor and he takes direction very well. There is a sequence in which I run full speed and do a jumping 360 back kick that lifts Michaels feet off the ground and sends him flying through a wall of boxes. And remember, I am 6’1” 185lbs and big Michael is 6’5” 265lbs so I really have to kick him with some force to lift him completely off the ground and send him flying through the air. So on one take we tried tracking the shot at an angle and so the kick didn’t land square into Michaels chest but hit him at an angle and closer to his collar bone and he just goes flying, spinning through the air crashing through the boxes and he landed all the way off the crash pad and he is just not moving. I rush over to him and I said Michael are you okay? Do you know where you are? And he just looked at me and said “Eric?” I said “yeah?” “Let’s go again,” he said with that Cheshire grin. We just both started laughing. Stunt men are a very tough breed. 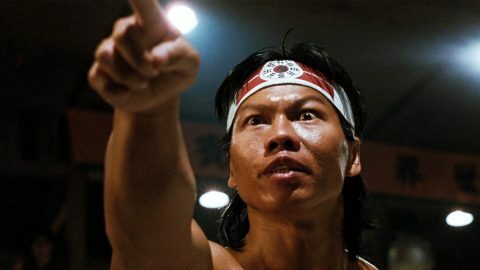 Budomate: Who is your idol and what are your favorite martial arts movies? Eric St. John: My idol as a man is my father Duane. I have a list of idols as purely dramatic actors that I look up to, but in regards to my Martial Arts idol, it is absolutely Bruce Lee, hands down. He is the all time greatest in my opinion. “Enter The Dragon” is my all time favorite Martial Arts movie to this day. 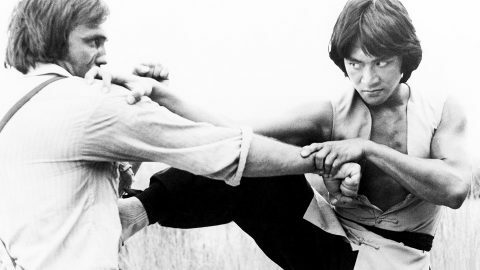 Bruce’s movies were my first introduction to the Martial Arts genre movies. While I enjoyed, and had a great passion for many, in fact all of the Hong Kong Martial Arts Action movies of that era, it was Bruce Lee and his movies that most resonated with me. All of Bruce’s early films had this same impact on me, including The Game of Death, The Big Boss (AKA “Fists of Fury”) Way of the Dragon (AKA “Return of the Dragon”), “Fist of Fury” (AKA “The Chinese Connection” Bruce’s movies to me seemed to most accurately resemble the spirit of “actual combat” that most of the other martial arts movies of that era did not fully possess. Granted, Bruce Lee’s fight sequences were far more theatrical and dramatic than actual combat, he himself has commented on that, and that is the nature of showcasing the Martial Arts in movies. You want to create the best choreography you can while keeping in line with the actual principals of combat, but to do it in an artistic, entertaining and exciting way. To build tension, have suspense and the resulting conflict and resolution. The best martial arts fight sequences tell a story. A fight sequence is a form of non-verbal, physical dialogue between two or more “actors”. I like the early Bruce Lee movies for technical reasons too. Bruce used a lot of wide shots and fluid masters. This way the audience could fully see every move he and the other actors were performing. 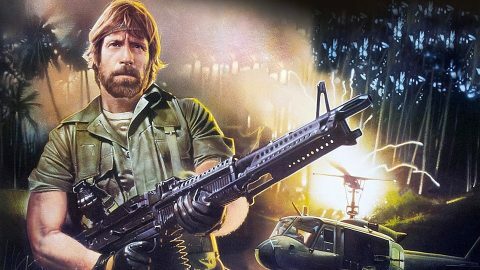 He didn’t rely on the “cut” to tell the story, the way many action movies do today. The cut or edit should enhance the action, but should not mask, hide or cover for the actors not actually executing the moves, as this limits the viewers experience. Bruce’s choreography was shot in such a way that he wanted to show you, the audience, everything he was doing. He was a terrific martial artist and athlete himself and that further enhanced the choreography of his fight sequences. While I absolutely love the more stylized, highly complex and very well choreographed Hong Kong Action movies that I would religiously watch every Sunday morning on “Kung Fu Theatre” as a kid, and I am also a huge fan of The Shaw Brothers movies, and many other martial arts movies like “Iron Monkey”, “Eight Diagram Pole Fighter”, “Crouching Tiger Hidden Dragon“. They have this beautiful esthetic, and way of showing the fight sequences that is very fun to watch, and the art department’s great work and the sets truly transport you to another world. But I believe Bruce Lee’s movies captured the essence of hand to hand combat, the energy of a fight, and he was a tremendously talented martial artist and athlete himself along with being a great “martial arts actor” and I believe that is why people to this day still watch and enjoy his movies. 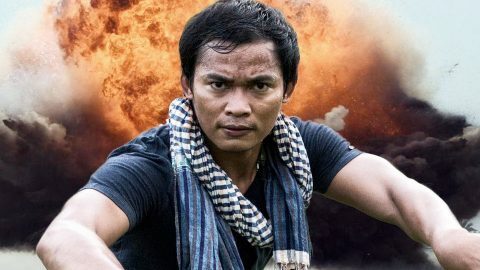 Currently I am a huge fan of Tony Jaa and I really like all of his movies especially “Ong Bak” and “The Protector”. Jason Statham is a terrific actor, absolutely solid in every single piece of work that he has ever done, and he is a real martial artist and athlete as well. The Transporter ranks among my other top favorite movies. I recently saw “The Raid” and it is excellent! Gareth Evans truly knows what he is doing as a director, and he has a way of working that is effective and the results are crystal clear on the screen. I suggest watching the behind the scenes and the making of The Raid and you will see the amount of planning, work, precision, timing and perfection that he demands of his actors. I am also a huge fan of a Korean movie starring Won Bin and directed by Lee Jeong-beom called “The Man From Nowhere”. 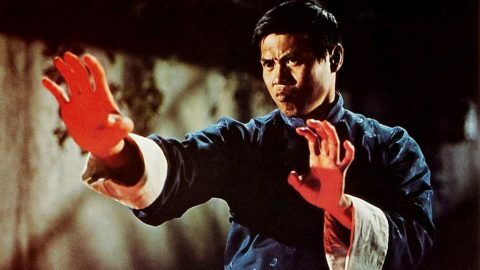 If I were to name my top favorite current martial arts action movie, it would be The Man From Nowhere. 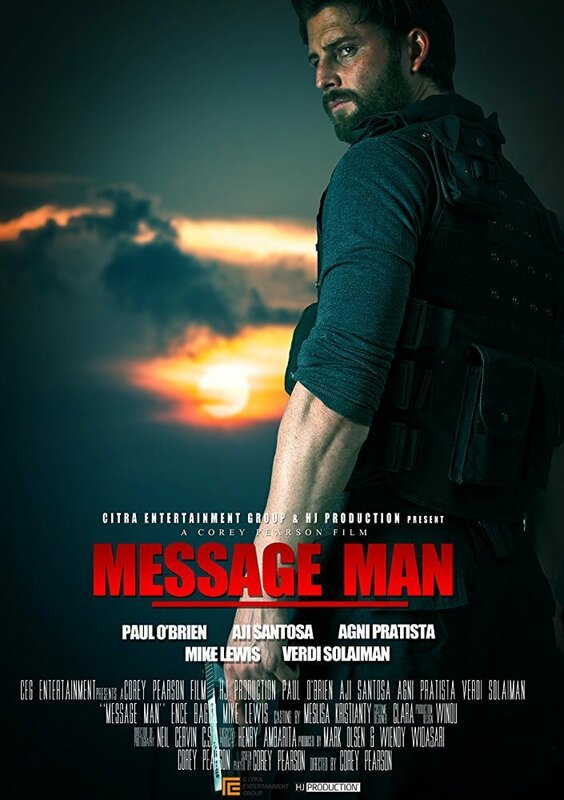 Great story, great acting and great action. 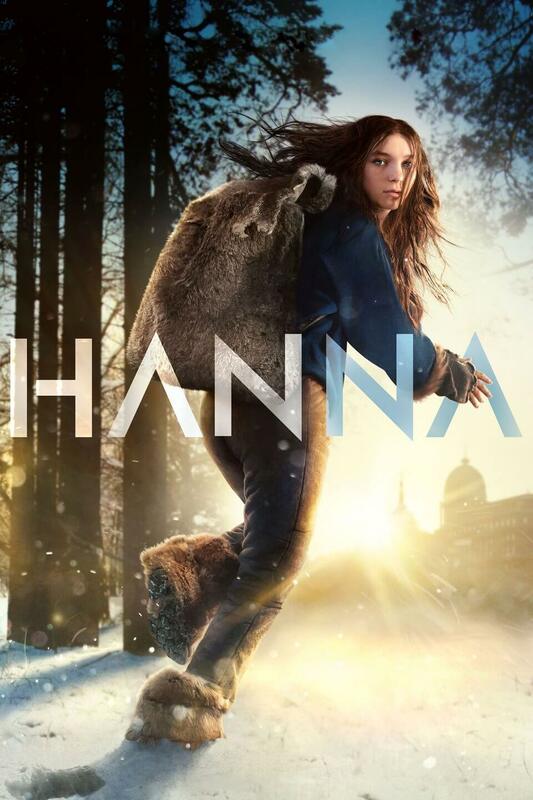 This is my favorite current movie. There are many great movies coming out of Korea and some of my favorites are “Oldboy” and “I Saw the Devil”, and there are many others as well. I just heard that Dimension Films will produce and release a US remake of The Man From Nowhere, which is very exciting to me as it is truly a great movie. Stay tuned for “Out for Blood”! Wonderful interview. The Man from Nowhere is magnificent. Those South Korean Films are absolutely incredible.